Screen Europe and Meccanotecnica today announce a collaboration which will bring together Screen’s EQUIOS Book Solution package with Universe Sewing from Meccanotecnica. Designed as a single interface to automate job management, EQUIOS supports roll to book impositions required for high quality book finishing solutions. This latest development includes a special page order needed for Meccanotecnica’s Universe Sewing. It also includes a variable data processing function for the dynamic barcodes required to identify signatures and book blocks for sewing. Meccanotecnica launched the new Universe Sewing Web-fed in February this year. The automatic book folding and sewing machine was designed to produce high quality lay flat books directly from the pre-printed roll. Universe Sewing performs several processes all-in-one, including: unwinding, cutting, scoring and folding, collating, and sewing. Ideal for web digital printers who have the need to manage short to long runs efficiently, the system avoids non-productive steps such as: plating, folding, palletizing and gathering, especially for high signature-count books. The new Screen EQUIOS features will be available in January 2018 for the Screen Truepress Jet520HD press. 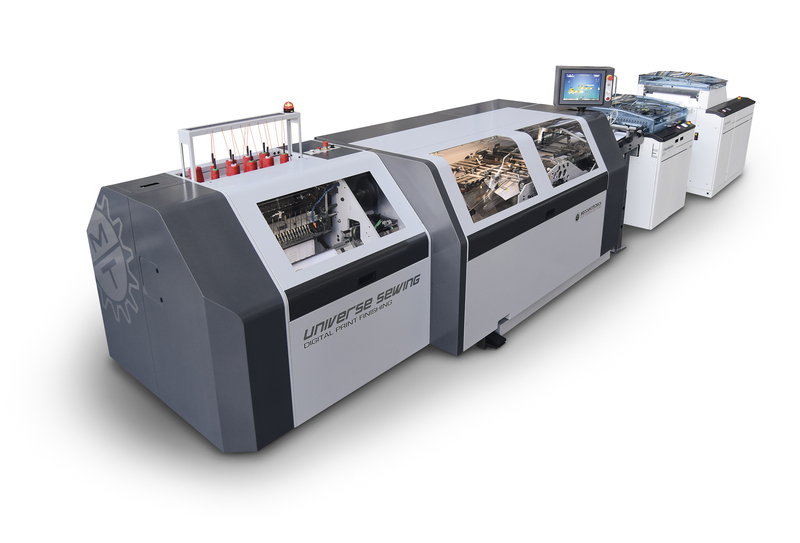 Designed to support today’s book printing market, the high-speed inkjet web press features 1,200 dpi true resolution and precise droplet size control in order to deliver flexo-quality colours, textures, details and solid ink areas expected for high-end publication work. With the introduction of Truepress SC Inks exclusively for use with Screen’s TPJ520HD, customers’ choice of stock also dramatically increases, with standard coated stocks for offset printing now an option. The integral texture and feel of coated paper – including glossy papers used for high value books – is maintained, whilst printing is also possible on a wide range of non-coated papers, including standard and specialised inkjet types.